JHL goes for the gold. Does this work or is it overkill? I feel like it&apos;s been ages since I&apos;ve seen Jennifer Love Hewitt. Possibly not since the vajazzling video—remember that? Now, she&apos;s all grown up with a baby on the way, husband-to-be and a shorter, darker hairstyle that is all business. You know what? I actually think this is a super-cute idea. The whole trend of using metallics to emphasize the eyes is something I&apos;ve been banging on about for some time now, and I think it&apos;s a fun twist on the more expected darker, matte colours. It&apos;s a neat trick for bringing light to the eye area and is one of the easiest ways to add colour to your face without it being too strong (or noticeable when you&apos;re not that precise with your lines, as I discovered when I tried the trend myself). It works best the way JLH has done it here, with no other colours on her face or in her outfit fighting for attention. Even the hair colour and the bangs help draw the focus to the eyes. Okay, this is where things start to fall apart a bit for me. I get that the lines of gold needed to be thick so that you&apos;d notice it from far away, but up close I can&apos;t help but feel like it&apos;s a bit too much. It&apos;s a different look for sure, but I&apos;m more drawn to Olivia&apos;s version when I see it up close. It just feels more sophisticated and neater in the application. 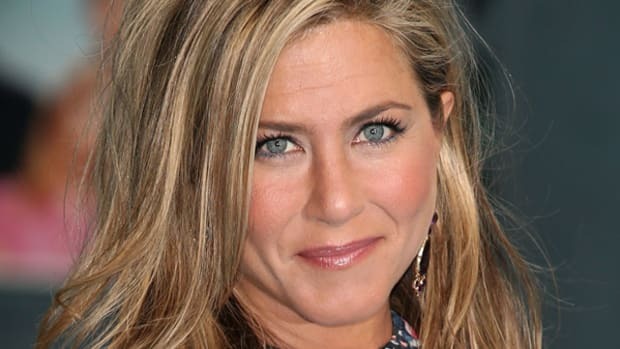 Maybe the compromise is Jennifer&apos;s shade of gold but just a thinner line. What do YOU think? Are you a fan of the gold eyeshadow trend? What do you think about Jennifer Love Hewitt&apos;s interpretation? Or do you prefer it more subtle, like Olivia Munn? Do I even need to ask this question? Did she take the whole highlighting thing a bit too far? Hot or a hot mess? Should she brush her hair—or do you like this textured look? Are the '90s back? 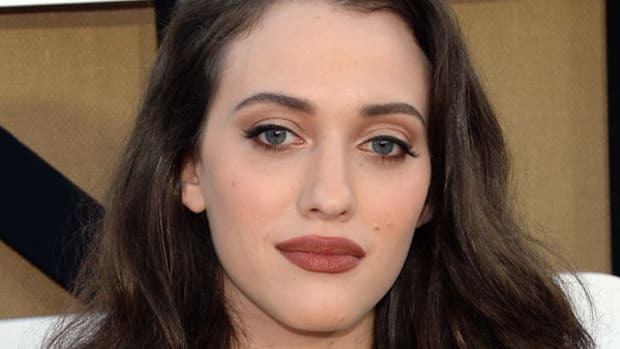 Because Kat Dennings is wearing brown lipstick—do you like it? Bad dye jobs happen to celebrities, too. Would you try this daring colour combo? Why it worked... and how to copy it. She's wearing not one, not two, but THREE colours on her mouth.